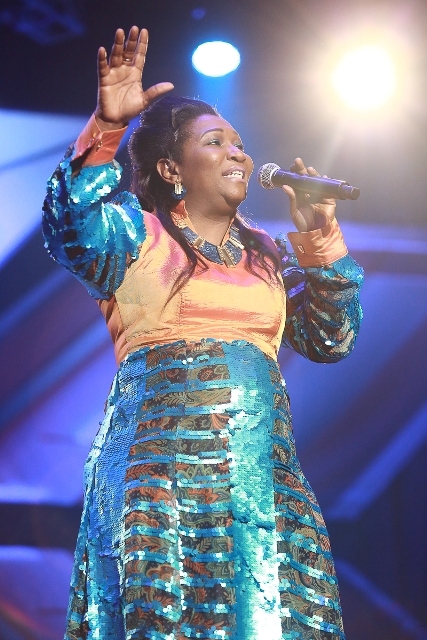 “Like I always do, I’ll like to give praises to Jah,” said the originator of Hiplife and X Factor judge, Reggie Rockstone when it fell on him to deliver the deciding vote that sent Princess Pat out of the show on Friday night. With that verdict by Reggie, the quest for the X Factor crown ended for 49-year-old Princess Pat, whose full name is Mohie Patience Uyoyo Oghene – leaving the Ghanaian voice, Eshun and the two Nigerians, Vicky and DJ Switch, to battle for the top prize. 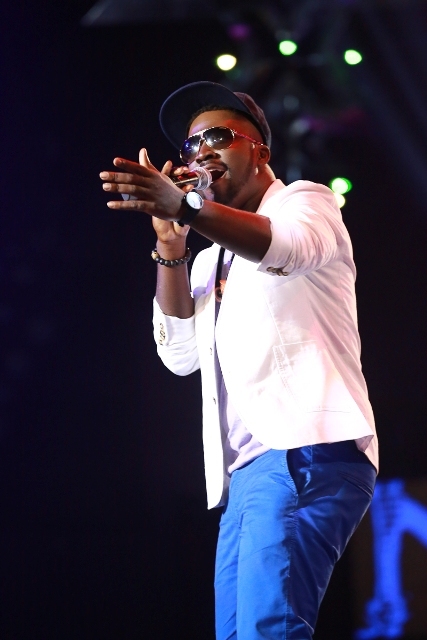 Before the voting, however, there was a surprise performance by Glo Ambassador, ‘Asem’ from Ghana. Decked in a white blazer and blue jeans trousers, the singer crooned “Get down” which got the audience on their feet, applauding. 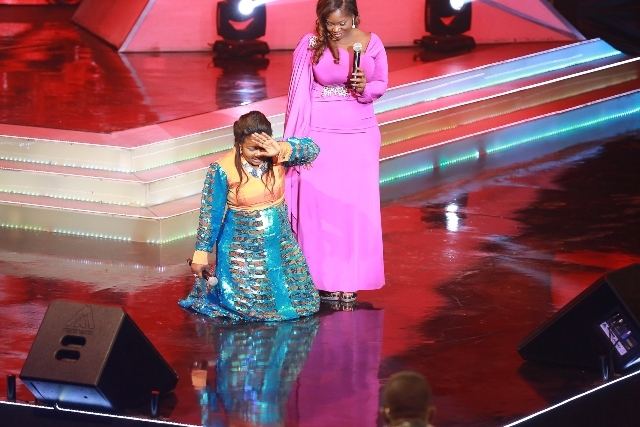 After the thrilling performance, Toolz proclaimed, “the contestants with the least votes are Vicky and Princess Pat. Not waiting for the bomb to sink she continued in the direction of Vicky.How do you feel?” Toolz asked, apparently referring to the fact that Vicky was facing eviction for the third time. Vicky unassumingly responded with an “I’ll give it my best shot. I’m grateful I made it this far”. “This is the first time you’re up for eviction, how devastated are you?” Toolz turned to Princess Pat. “I’m not devastated. My name is Hope.” she declared valiantly. Both of then sang for survival, after which a cacophony of voices rose up from the audience chanting both names as everybody waited for Reggie’s verdict. He was left to cast the deciding. MI and Onyeka Onwenu had decided to save their respective mentees, Pat and Vicky, who were both in the bottom two. After Judge Rockstone’s pronouncement, Vicky in an Ankara Boi’s manner turned to the ever gorgeous shoulders of Toolz and sobbed away her relief. Princess Pat, however, Betraying no emotion, said, “It’s been absolutely wonderful. I hoped to get to the top three, but I’m so happy for Vicky. Well done, you deserve it,” she said, congratulating the young girl. “It’s sad to see her leave. What are your final words to her?” Toolz asked MI. The rapper was silent for a while, but he finally said, “Good job” without speaking further. 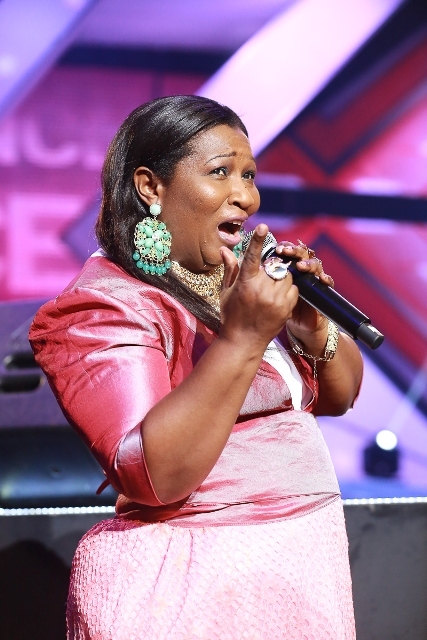 Princess Pat exits Glo X Factor with pride #GLOXFactor 0 out of 5 based on 0 ratings. 0 user reviews.